"Jason Day, Matt Kuchar, Kevin Streelman and Martin Laird have all posted a brace of top-10 finishes at the course, on which Kuchar is a former winner." Week One of the four-tournament FedEx Cup Play-Offs takes the PGA Tour to New Jersey for The Northern Trust event at Ridgewood Country Club. Following last week's tournament at Sedgefield in North Carolina, the top 125 players in the FedEx Cup standings are invited to compete in the opening tournament of the play-off series. 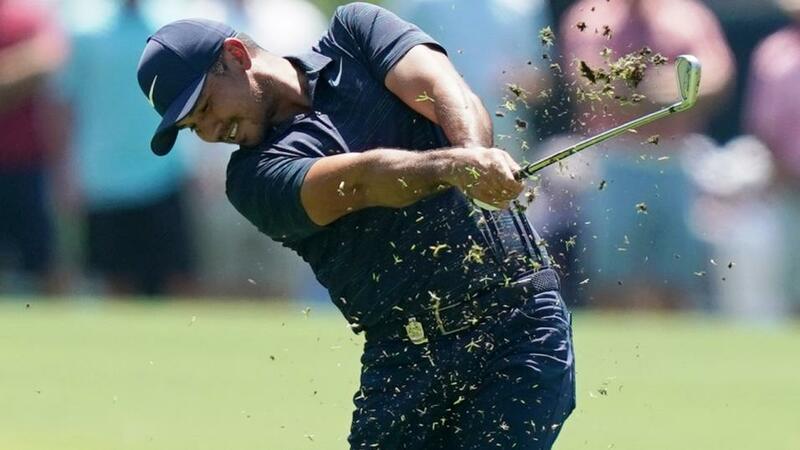 A handful of golfers have opted to take a rest, preferring to save their energy for later in the Play-Offs, which will culminate in the season-ending Tour Championship in Atlanta. But for now, and for those teeing-up at Ridgewood on Thursday, the aim is to be ranked inside the top 100 of the FedEx Cup standings when the dust settles on this week's event. Ridgewood is an 89-year-old course which hosted the Ryder Cup in 1935, and will be making its fourth appearance in the Play-Offs. Since it was last used on the PGA Tour schedule in 2014, Ridgewood has undergone a few changes, such as re-shaping some bunkers, greens and fairways. Todd Raisch, golf course superintendent at Ridgewood, told the PGA Tour: "Nearly 15,000 square feet of greens were recovered, fairways were expanded approximately six acres and bunkers were reshaped back to their original design." This week's instalment will feature a composite course from the club's three nine-hole layouts - East (7), Center (5) and West (6). Ridgewood, which has also staged two senior majors during its illustrious history, is a lush, parkland course situated around 20 miles north-west of Manhattan. Despite being a PGA Tour venue on just three occasions during the last 10 years, a handful of this week's competitors have enjoyed strong performances at Ridgewood in the past. Jason Day, Matt Kuchar, Kevin Streelman and Martin Laird have all posted a brace of top-10 finishes at the course, on which Kuchar is a former winner. Of this quartet, world No 10 Day is enjoying the best current form and is a two-time winner on the PGA Tour this year. Adam Scott and Stewart Cink have posted reasonable Ridgewood results during previous visits, as has Paul Casey who recently suffered only his second missed cut in 19 months when failing to play all 72 holes at the PGA Championship. The two star names sitting out the trip to New Jersey are Rickie Fowler and Rory McIlroy, who are both expected to open their play-off campaigns in Boston next week. Young Spaniard Jon Rahm continues to show impressive form, while this traditional parkland layout should suit world No 6 Francesco Molinari.